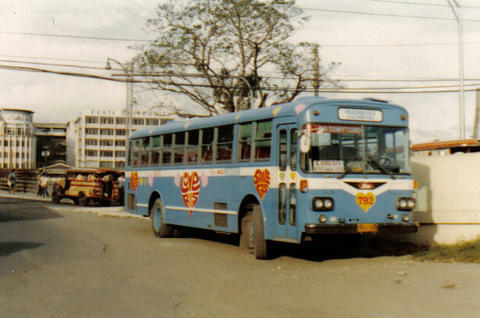 “mmtc love bus 80’s” by RADC_bus via Flickr//CC. Celebrate community love during the annual “Ride 4 Love” event led by the East Side Riders Bike Club with Los Ryders and Cyclists Inciting Change thru Live Exchange (C.I.C.L.E.). Riders will travel 8 miles through Watts and other southeastern communities, making stops at the Watts Healthy Farmer’s Market, Watts Towers and the well-known Elizabeth’s Bakery. Meet fellow bike riders at Ted Watkins Park at 10 a.m. This weekend: Blue Line every 12 minutes with minor delays after 9 p.m.
Hey! A Metro Manila love bus! Never thought I’d see that.